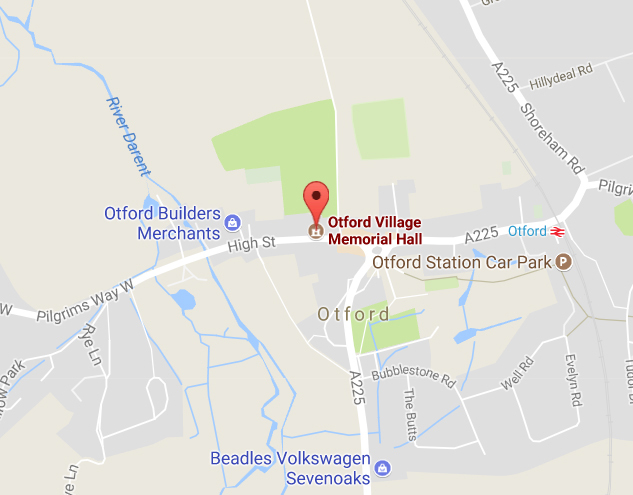 The Village Hall and the Memorial hall are both sited around the main car park in Otford….Opposite The Bull in the High street. The Methodist Church hall is a little further (60 yards) down the high street (away from the pond). You can still park in the main Otford car-park, or use the Methodist church parking, but there is less of it.